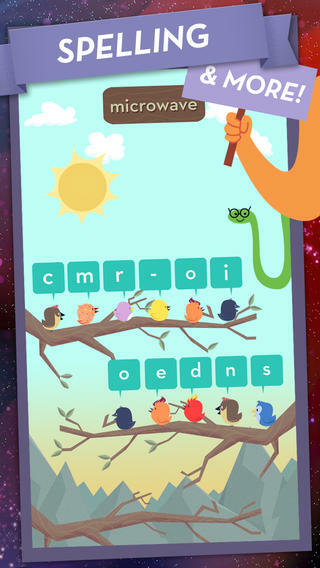 The Learn French by MindSnacks app uses games to teach French vocabulary, grammar, and phrases. 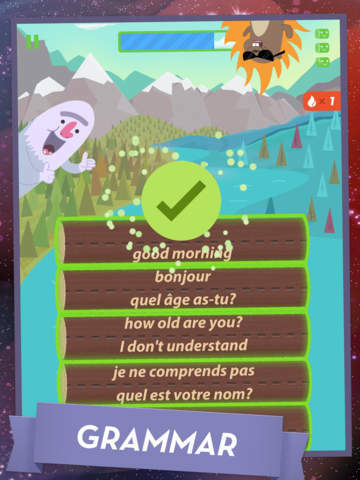 Although users won't gain full knowledge of reading or speaking French from this app, Learn French would be great as an introduction or as supplement to an in-person language course. 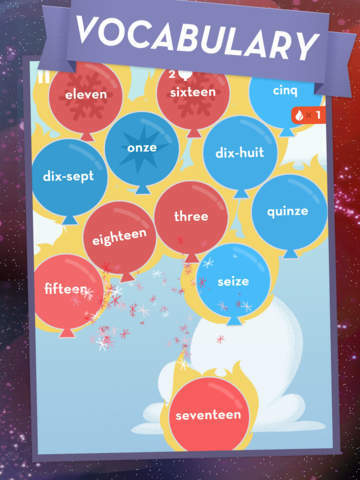 Learning French doesn't have to be dull and overwhelming; instead, it can be a fun experience through the use of games. It gives users the ability to work through 50 different lessons, which works out to more than 40 hours’ worth of learning. With that amount of content there’s a good chance you’ll have a very firm grip on the language before long. This app has been created for all users: kids, adults, travelers, and students. 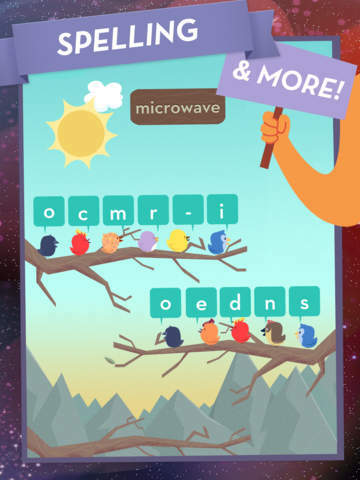 The app makes it possible to speak, write, and read in French. 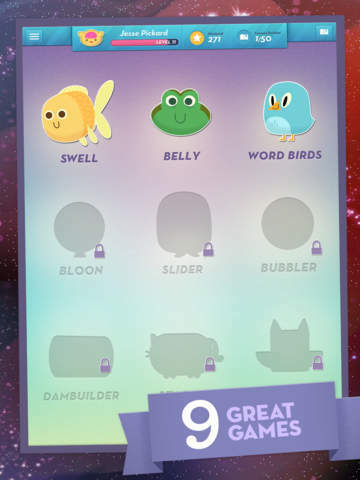 It features nine different games that are ideal for picking up conversational and vocabulary skills. 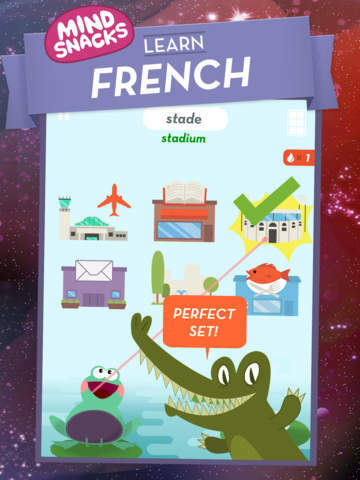 There are more than 1,000 different French phrases and words included in the app and there are also audio clips from a Native speaker.